Cancellation! July 16-23! Rate reduction! Oceanfront! July 16-23 $4,500 per week. Gas range, dishwasher, frost free refrigerator, microwave, food mixer, teak dining table with upholstered chairs, all excellent mattresses, outdoor shower, linens provided, washer/dryer in shed, satellite TV with DVR, high speed internet connection available. The two houses share driveway and path/steps to beach. 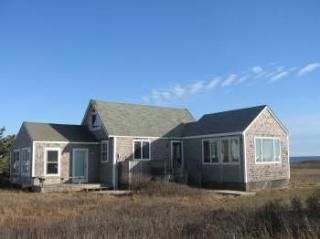 privacy, beautiful beach, wonderful dirt road for walking or jogging, only 15 minutes drive to Town. Stop & Shop, pharmacy, fish market all about 10 minutes drive. No need to get into Town traffic. Cancellation! Rate reduction! Just became available!